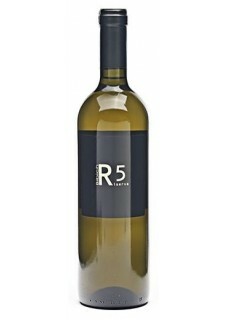 R5 is one of the most unique Bibich wines. Very much a cellar cuvee (%15 of the 2010 is blended into this bottling) it is also echoes back to a time prior to the advent of stainless steel and refrigeration - building oxidation into the wine rather than having a wine oxidize. The native Debit, Pošip, Maraština dominate the blend, but the exact content and proportions vary. Vinified in new and used American Oak oxidatively for a year, it is typified by aromas of browned butter, hazelnut and Mediterranean herbs. Despite the sherry like aromatics, it’s remarkably bright and integrates seamlessly with the spicy oak. Food pairing: Briny Brodetto, deeply seasoned poultry.